Growing your own orchid needn’t be a daunting task – though delicate in looks, they are much tougher than one would think. 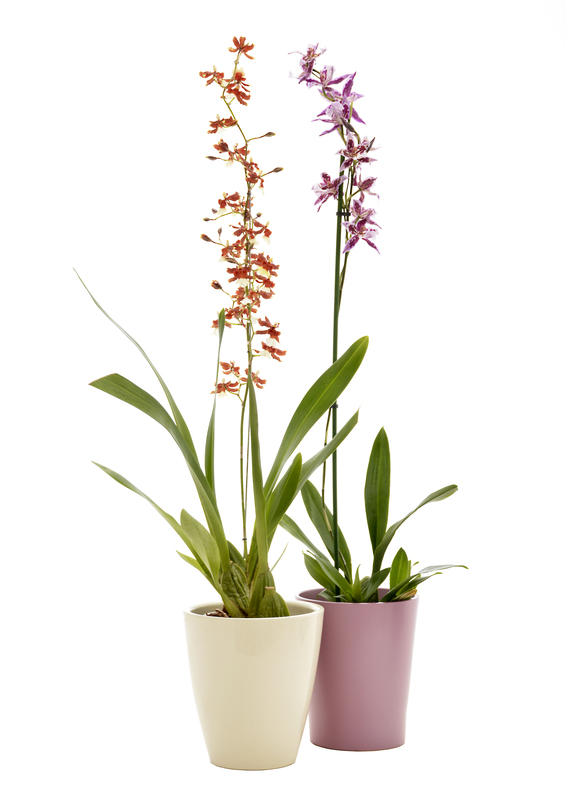 Stick to the following basic care instructions in our orchid care guide and let these beauties light up your home and life. Indoors in bright light, but no direct sunlight, except for a bit of early morning light. Most orchids can be kept indoors even after flowering. Most orchids are epiphytic and prefer a free draining growth medium in a small container. Keep you orchid in its original container while it’s blooming and, if preferred, place this in a larger, more decorative, potcover. Be sure to empty out the potcover after watering. Garden and Home give a wonderful step by step guide to repotting your Orchids; click |HERE| to read it. 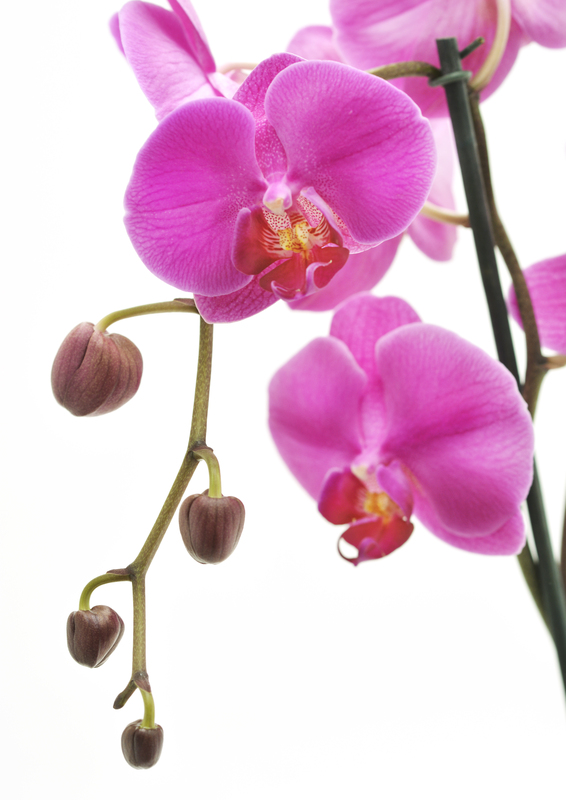 Keep the air around your orchid humid by spraying a light mist with a spray bottle around the plant. You can also increase humidity by placing the plant on gravel/pebbles and water in a saucer. Take care that the orchid sits on the pebbles and not in the water. Water your orchid from the top until the water runs out the bottom of the pot. You could also soak it in a basin of water up to the brim for about 15minutes and then allow excess water to drain out. 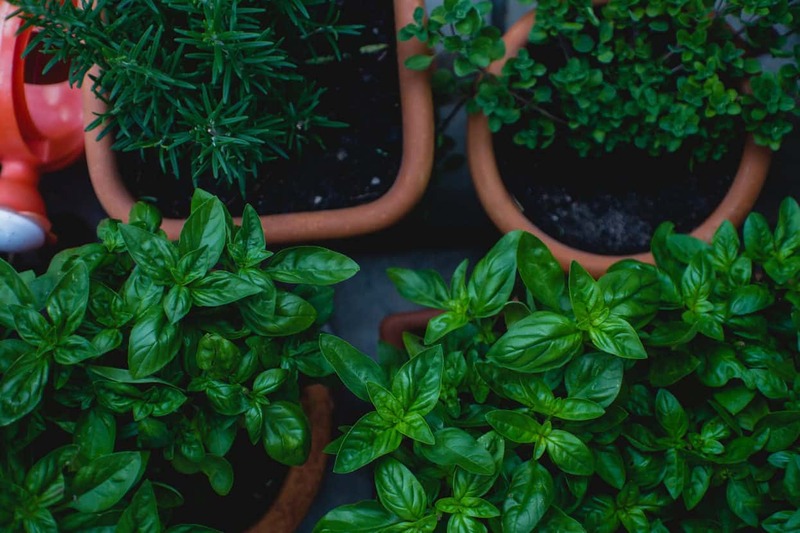 This way the plant gets enough water, salts that have collected in the growing medium is flushed out and you don’t need to water as frequently. Your orchid should only be watered as it starts to dry out (constant wetness will cause root rot). If the growing medium still feels wet refrain from watering. Always water orchids in the morning to allow for complete evaporation. During flowering season feed your orchid with a weak solution (half strength) of a well-balanced orchid food after you have watered it to prevent burning. Once the orchid has dropped all its blooms, feed once a month only. Whatever temperature is comfortable for you will also suit your orchid. A room temperature of 18 – 26°C is optimum. It is very important that the air around the orchid is not stagnant. 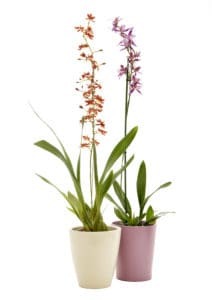 Allow enough space between the orchid and other plants as well as walls and windows for air to gently flow over leaves and roots. This will help to prevent fungal disease. Long lasting flowers from late autumn to early winter in a wide range of pinks, yellow and white. 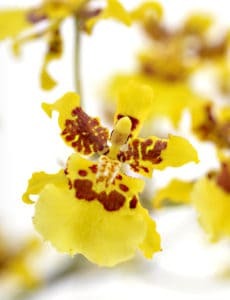 It is also known as the ‘Beginner’s Orchid’, because it’s easy to grow and maintain. One of the most popular and widely grown plants of the orchid family. They are easy to grow and are prized for their long-lasting sprays of flowers during winter. After the flowering season your Cymbidium can be placed outside in dappled shade under trees or on a shady patio. Comes in shades of burgundy or lime and white with a shape that resembles a ballerina’s slipper. They flower for months on end. Cattleyas are among the most beautiful of orchid flowers. Their opulent, exotically fragranced blooms are often used in corsages. Lightly scented flowers in colours ranging from white, yellow and orange to hues of red, pink and purple. They can flower twice a year and flowers last up to 6 weeks. Dendrobium bears masses of rounded blooms in spring. They are sold in a wide range of colours. Miltonia flowers resemble that of the Pansy flower and they are much loved by gardeners. They come in a wide range of colours accompanied by a delicate fragrance. With good care they can flower twice a year in early summer and autumn. 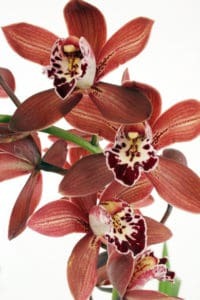 Burrageara is a hybrid orchid created specifically for indoor growing. It has a pleasing, intense citrus fragrance. Long flower spikes are carried on long canes from early spring to early summer. 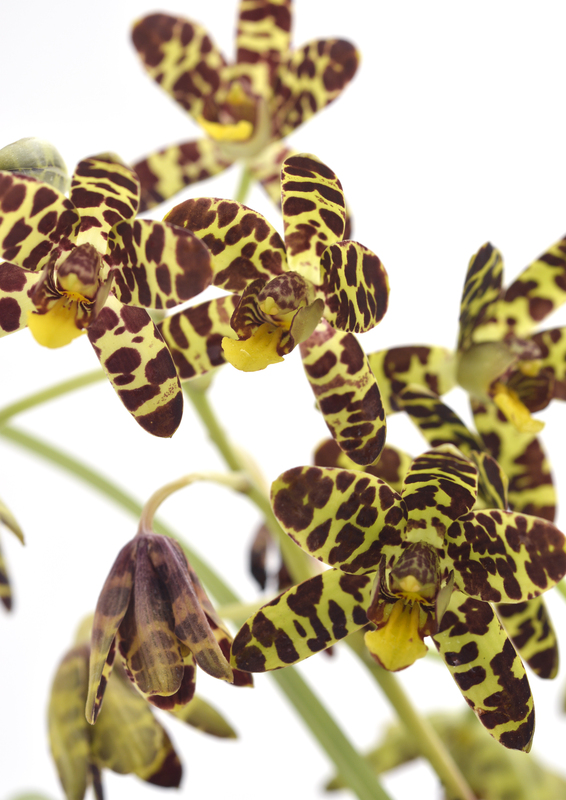 The flowers are distinguished by dark spots, resembling those of a leopard, hence the name. Please note all orchids mentioned in our orchid care guide are subject to availability. Please enquire at our Inside Information Desk for assistance with buying supporting products for your Orchids or any other info relating to our orchid care guide.